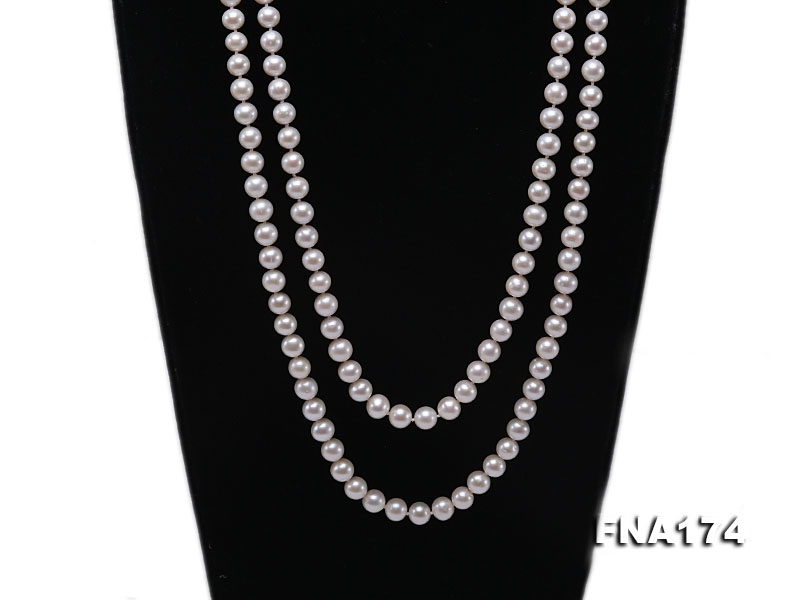 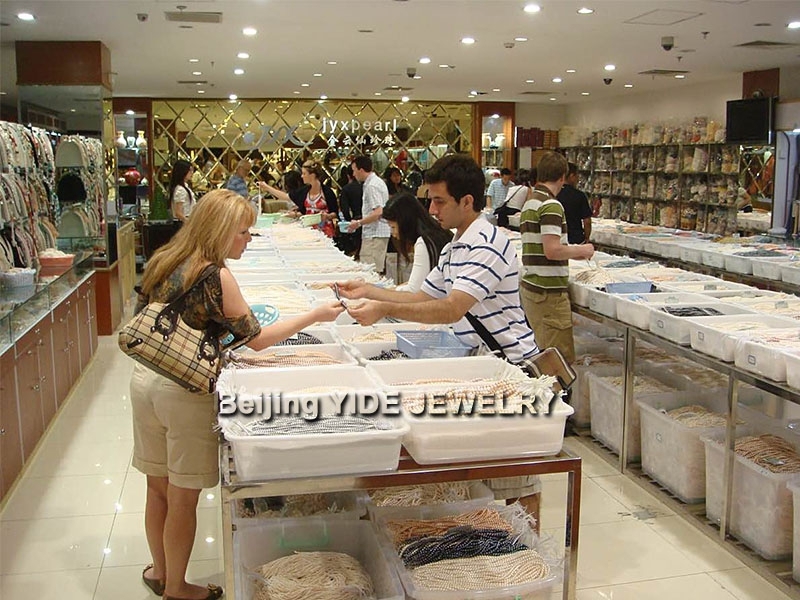 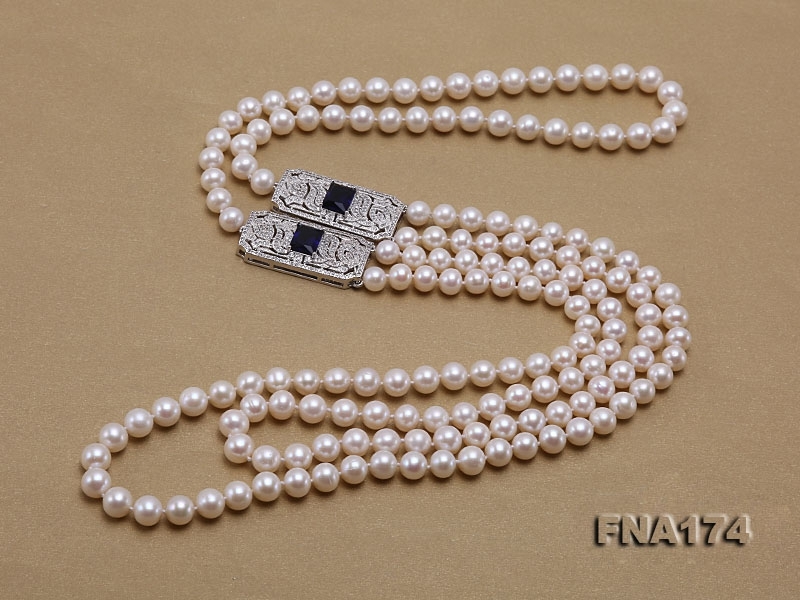 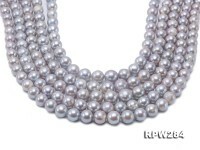 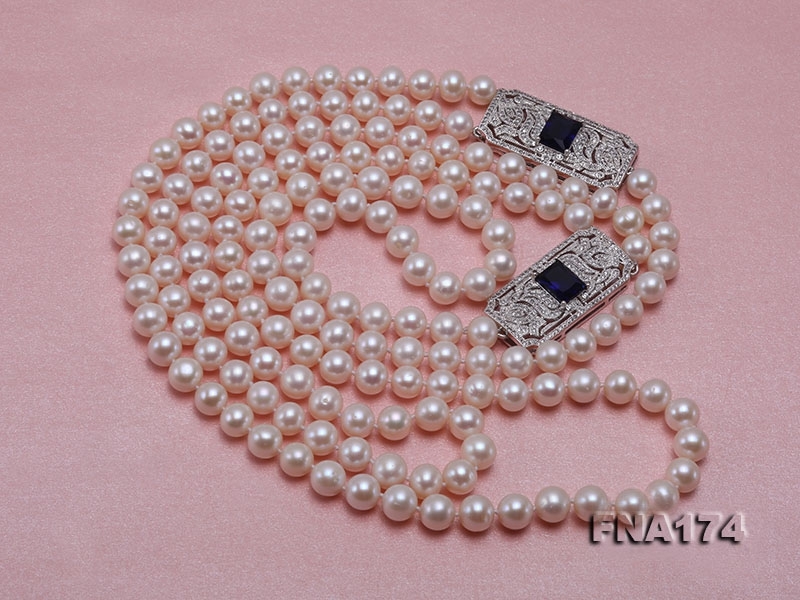 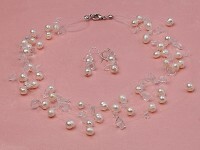 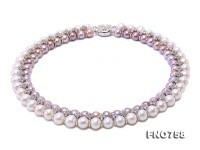 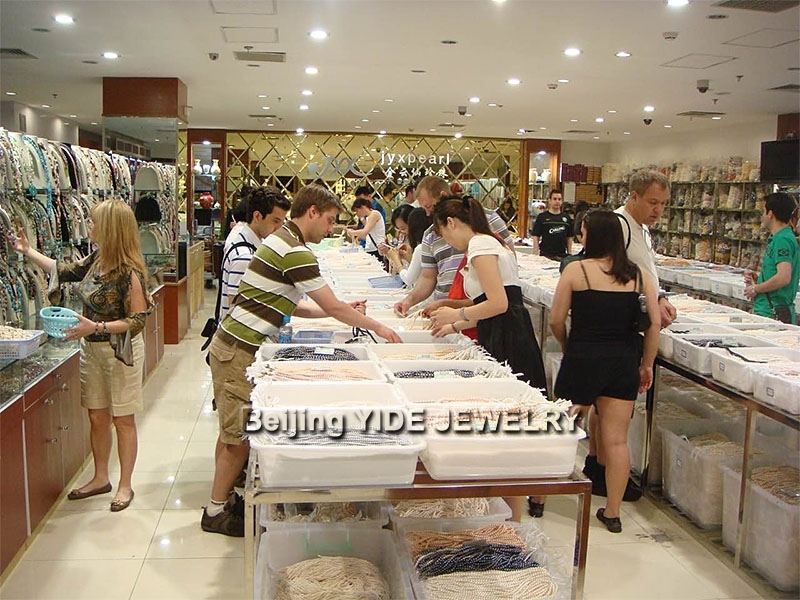 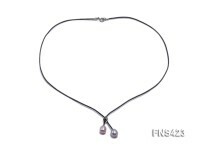 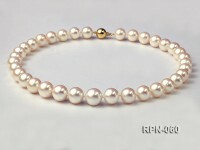 Pretty double-strand 7-8mm white round freshwater pearl necklace for sale. 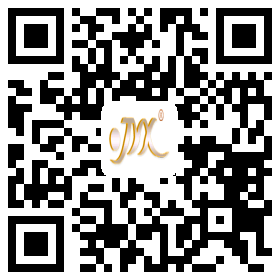 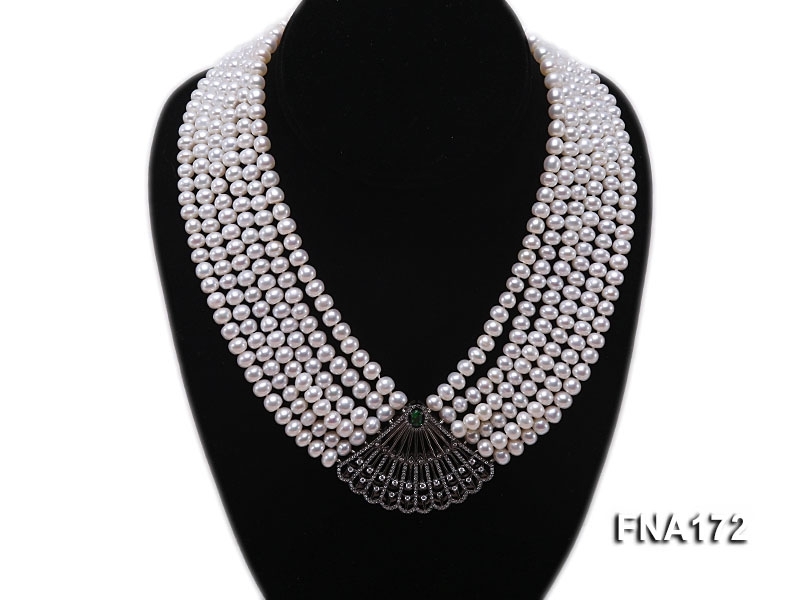 Every piece of pearl is carefully selected and strung manually with a knot in between to ensure utmost dignity and nobility. 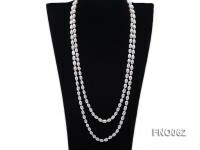 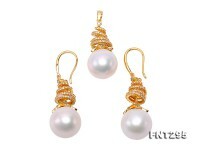 Two strands of freshwater pearls measure 34-38 inches long and are connected by two gold-plated accessories at upper sides, featuring artful transition from single strand to double strand. 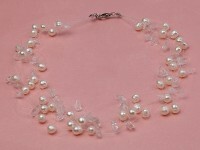 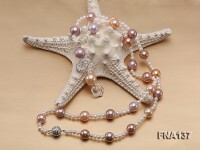 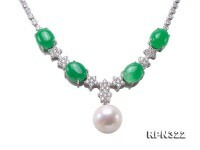 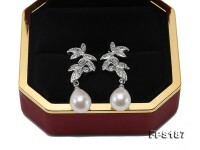 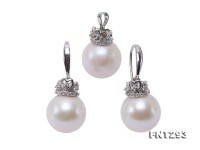 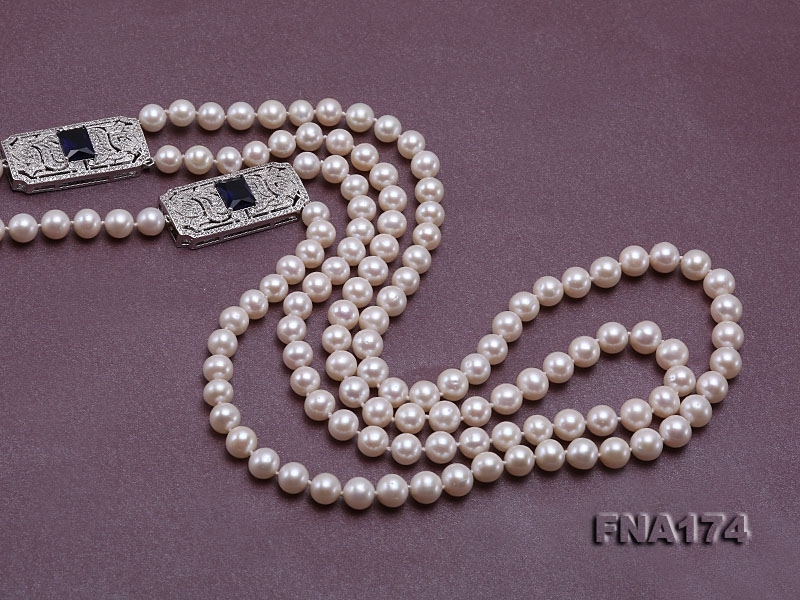 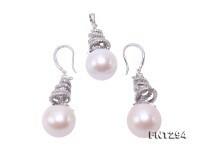 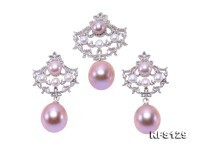 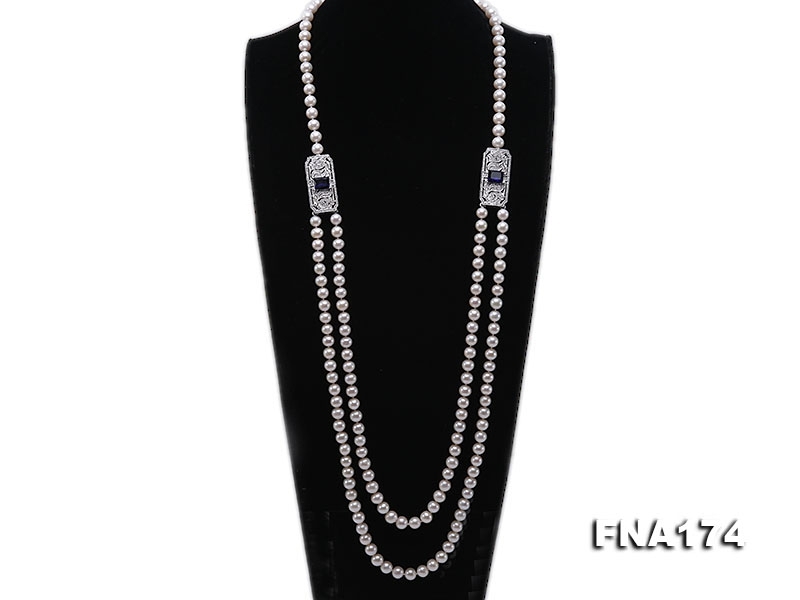 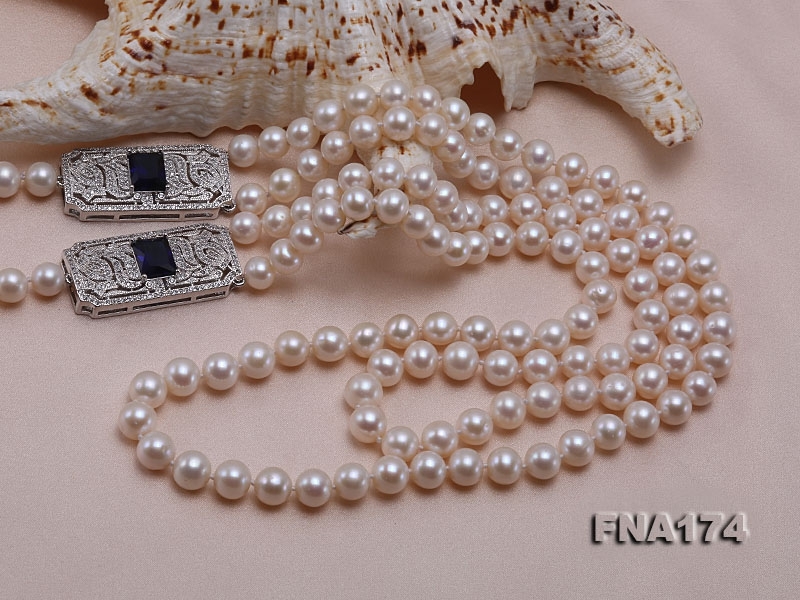 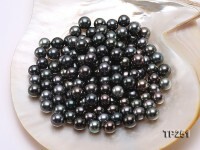 The pearl necklace makes ideal jewelry to go with evening dresses, revealing every touch of simple fashion.